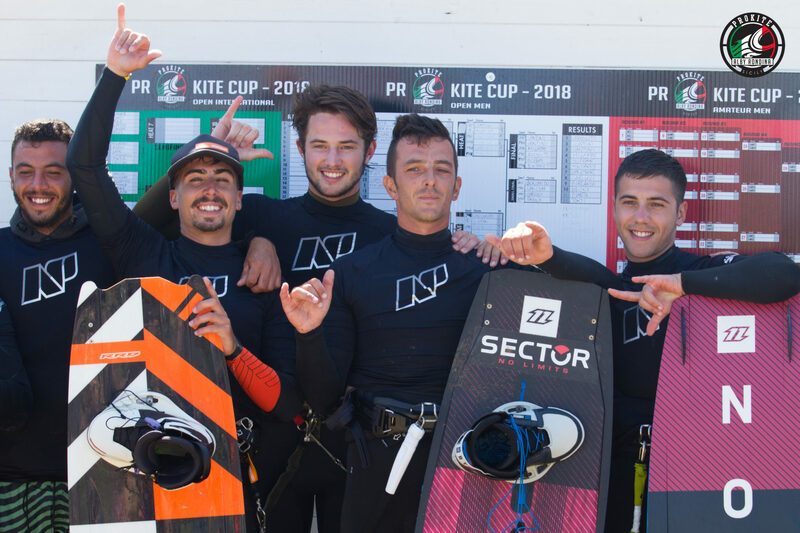 More than 25 Italian and foreign athletes both males and females of different ages have made the ProKiteCUP 2018 a memorable event full of good vibes. There were two competitions: the first stop of the Italian Freestyle Championships and an International cup specifically studied by Prokite Alby Rondina, the complex that organized and hosted the event, to make sure to involve the greatest number of athletes, even the international riders going to Lo Stagnone every year to train. This spot is the top choice to progress in this discipline, thanks above all to the conditions of flat water and constant wind, amplified by the thermal factor in hot months. Among all, the riders were more distinguished Gianmaria Coccoluto (1 place Italian Championship and 2 International), Francesco Contini (2 place Italian Championship), Jacopo Cantini (3 place Italian Championship), Adeuri Corniel (1 classified International), Valentine Rodriguez ( 3 place International). 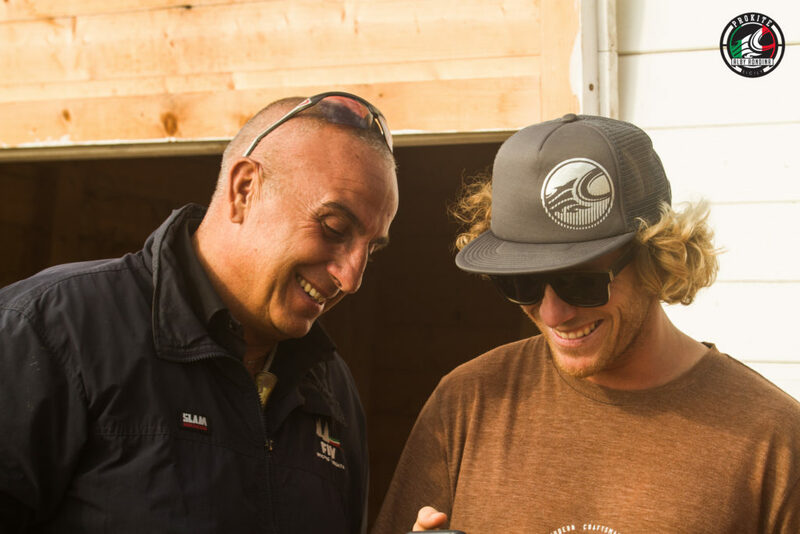 A special greeting goes to Stefano Fontanesi, who unfortunately was involved in an injury during the event. We are sure that Davide will come back stronger than before fighting for the title with the determination that he has always shown in the water! The beautiful aspect that perhaps is most evident in this type of events is the shared passion for this sport that links all the participants and that makes sure they are rivals during the competition but again friends once the trumpet scans the sound of the end of the heat and ready again to force each other to close the tricks. An attitude not so common in competitive sports. 1) Where did the desire to organize such an event come from? The freestyle both on an Italian and international level has passed difficult years from an organizational point of view and for me it is very sad to see this! When I started competing in the Italian championship in 2003 there were many events around the whole of Italy. Of course pecking the wind is not always easy and you have to be lucky, but I had already the idea of ​restarting freestyle with other friends in Italy. The stop here in Sicily is the first of 3 stages that are scheduled this year….so I would say a good start!! 2) When did you start kiting and then participate in your first competition? I started kiting in 2002 and in 2003 I made the first comp in Italy, but since 2004 I have done all the events! Even if not many people know it, in Italy we have some really beautiful spots that are really windy in the good seasons. 3) Do you miss competing ? What reason led you to withdraw? The feeling of entering the field of competition and giving the best of myself is really nice and yeah I miss it a bit. But I’ve been competing for many years, Italians, Europeans, and I wanted new feelings, I decided to stop and focus on other things. 4) What are the main evaluation metrics today to decree a winner? 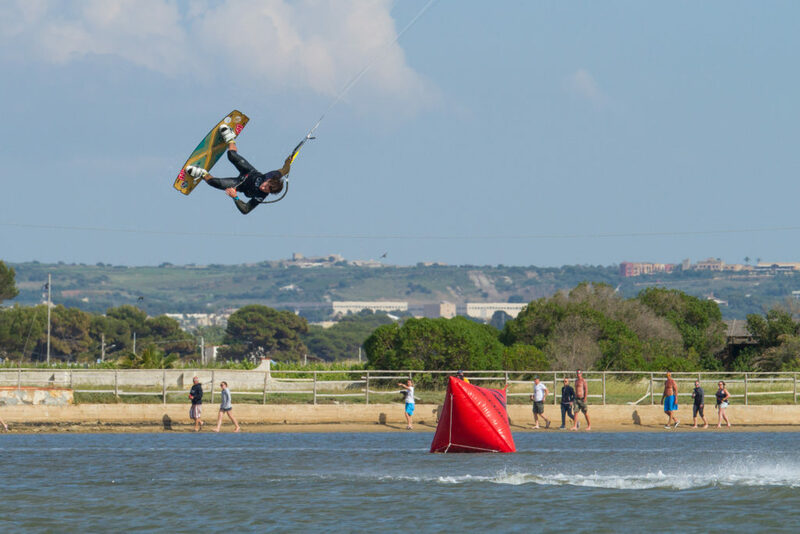 Freestyle has a complex system of judgment, there are many factors that influence the score, from the trick itself, to style, height, speed and above all the position of the kite! 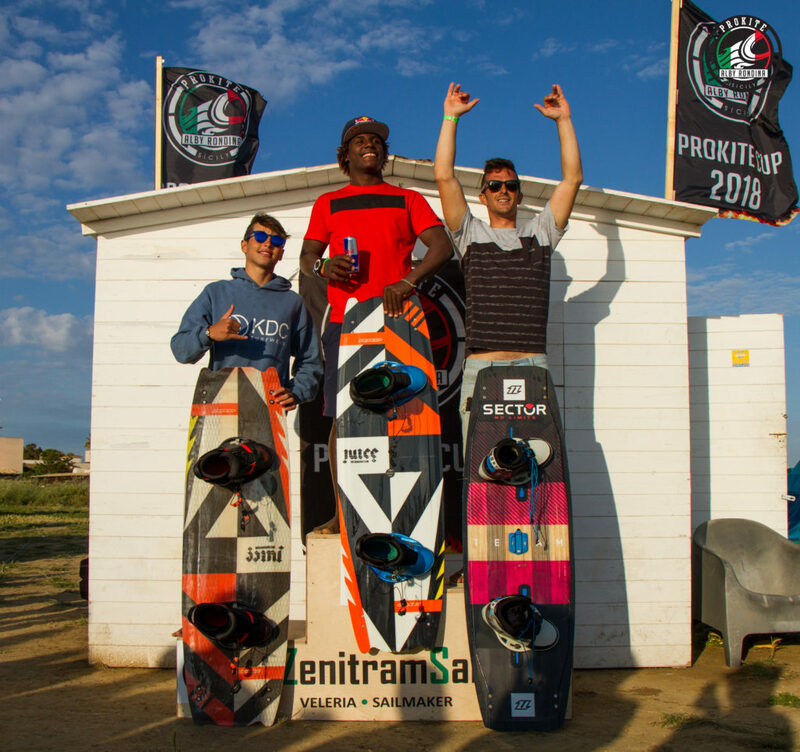 5) Francesco Contini, the winner of the junior category and ‘also arrived second among the open man surpassing guys much’ bigger than him, what do you think? 6) Will you host other competitions at Prokite Alby Rondina? This was a “test” for us, our location is really suitable for the organization of events and I hope in the future to organize even bigger events, like Europeans or maybe a stop of the World championship. 7) What message do you want to send to all athletes running for the title? The rider who wins the Championship is not the best rider in flat water and constant wind, but the most complete athlete in all conditions, strong wind, gusty, choppy… it is important to train and be ready for all conditions! © 2017. All rights reserved. ProKite Alby Rondina.